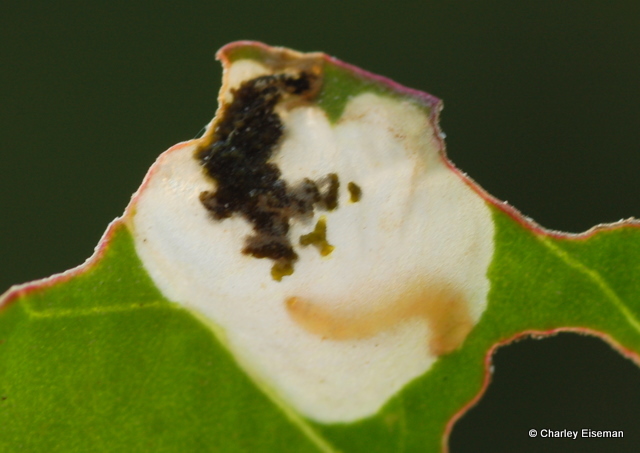 On July 20 I found the distinctive mines of Chrysoesthia sexguttella (Gelechiidae) in some lambsquarters (Chenopodium) leaves, with the larvae still inside. I collected two leaves containing mines and put them in a plastic bag. 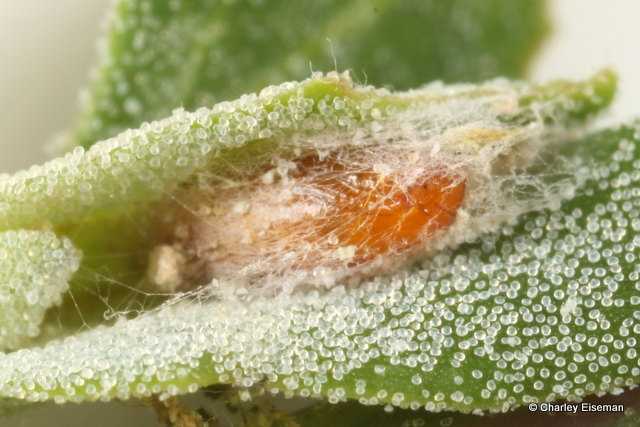 Mine of Chrysoesthia sexguttella (Gelechiidae) in a lambsquarters leaf, backlit to show the larva. The larvae had emerged from the mines by the next day, and on the following day one of them had spun a thin cocoon and pupated. Knowing from past experience that the adult moths might rub scales off their wings if left in a plastic bag, I moved them to a small vial. 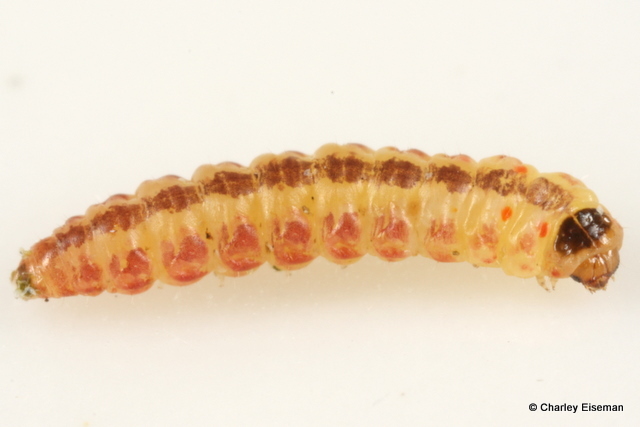 Larva (or prepupa) of Chrysoesthia sexguttella. Yesterday, the first adult emerged. I usually think of gelechiids (which are sometimes called “twirler moths”) as being nondescript little brown or gray things, so I was pleasantly surprised to see a colorful orange-spotted moth (sexguttella means “six-spotted,” and there are in fact three orange spots on each wing). Also, like the last gelechiid I wrote about, this one was very cooperative, sitting nice and still while I photographed it instead of running around frantically as most of the other leafminers have done. So all in all, I’m a fan of this moth. Adult Chrysoesthia sexguttella (~4 mm long). 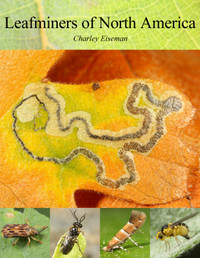 This entry was posted in Uncategorized and tagged Chenopodiaceae, Chenopodium, Chrysoesthia sexguttella, Gelechiidae, lambsquarters, leaf mine, moth, twirler moth. Bookmark the permalink. 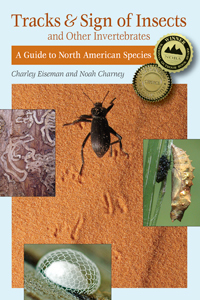 I am a foraging teacher, and recently started using your book. 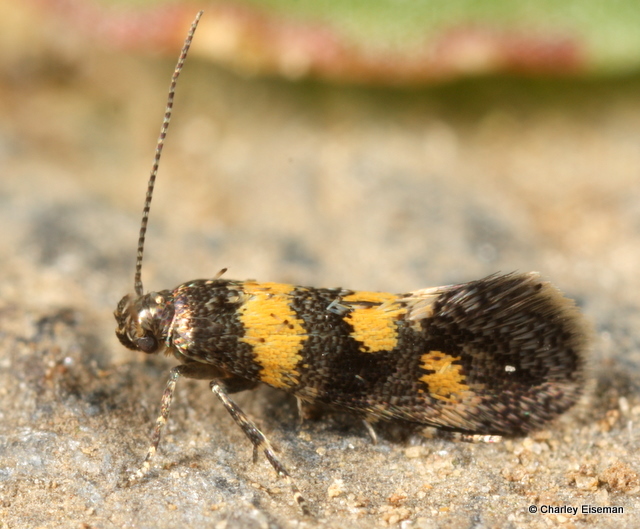 Chrysoesthia sexguttella was the 1st one I IDed. Can’t wait to look around the blog!